Portion control containers are big right now in learning how to eat right and keep extra weight off. But that’s not all they’re good for! They are one of the best things for your home organization. 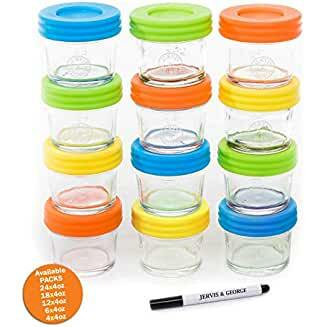 Portion control containers are usually color-coded. Either the containers themselves are colored, or just the lids. This is helpful as a diet aid but also helpful in home organization. 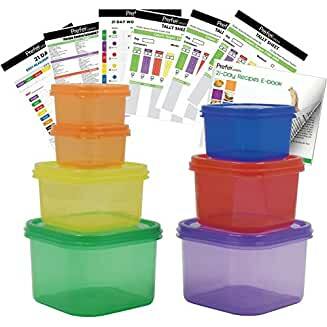 Think of all the small things you can organize with these wonderful, color-coded containers! Your life will be so much easier! 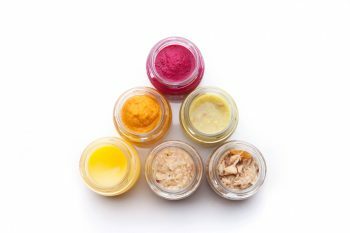 If you prefer to use glass, baby food jars are another portion control container that works well for organizing the little stuff. And you can’t deny how cute they are! This particular set has lids you can write on. Use plastic portion control containers without the lids to organize all the little things in the junk drawer. 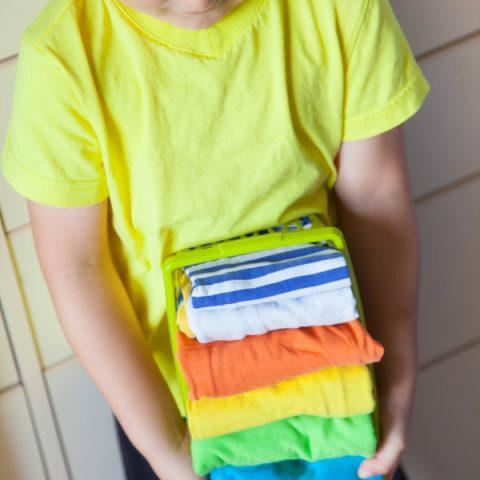 They are the perfect size to arrange in a drawer and will hold and organize things like elastic bands, batteries, and paper clips. In the bathroom, use portion control containers to organize all those pesky hair elastics, clips, and bobby pins. They also organize cotton swabs and cotton balls. Keep track of USB thumb drives, push pins, staples and binder clips in your home office. One of the best uses for portion control containers is in the craft room. They’ll easily hold and organize your button collection, glitter, beads and jewelry parts. Use portion control containers to corral your earbuds and charging cords. Just roll them around two fingers, then tuck inside a container and attach the lid. Now you can stash them inside your bag or backpack and not lose track of them. They’ll also stay tangle-free. 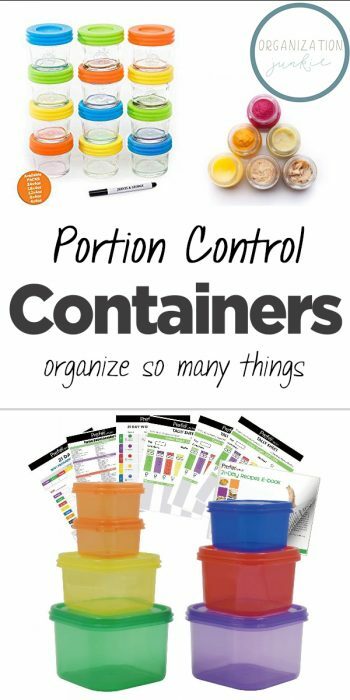 If you use portion control containers for healthier living, you’ll now want some more for better home organization!